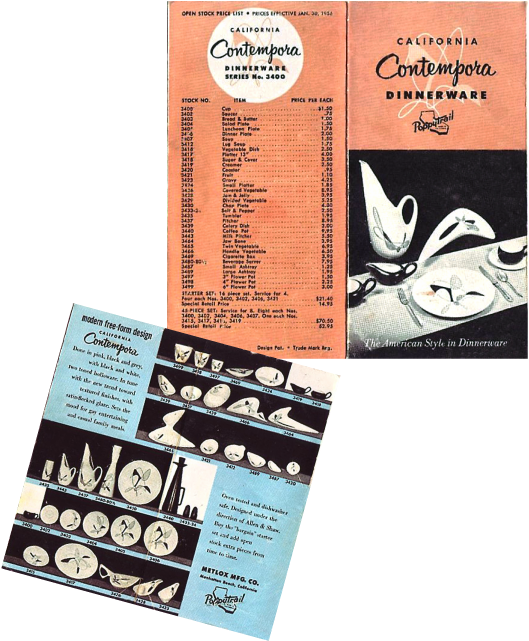 Metlox Potteries of Manhattan Beach, California produced the glazed earthenware "Contempora"; making its debut in 1955. The Designer of the Freeform shape was Frank Irwin in 1954. The Designer of the Contempora pattern was Robert Allen, & it was introduced in 1955. 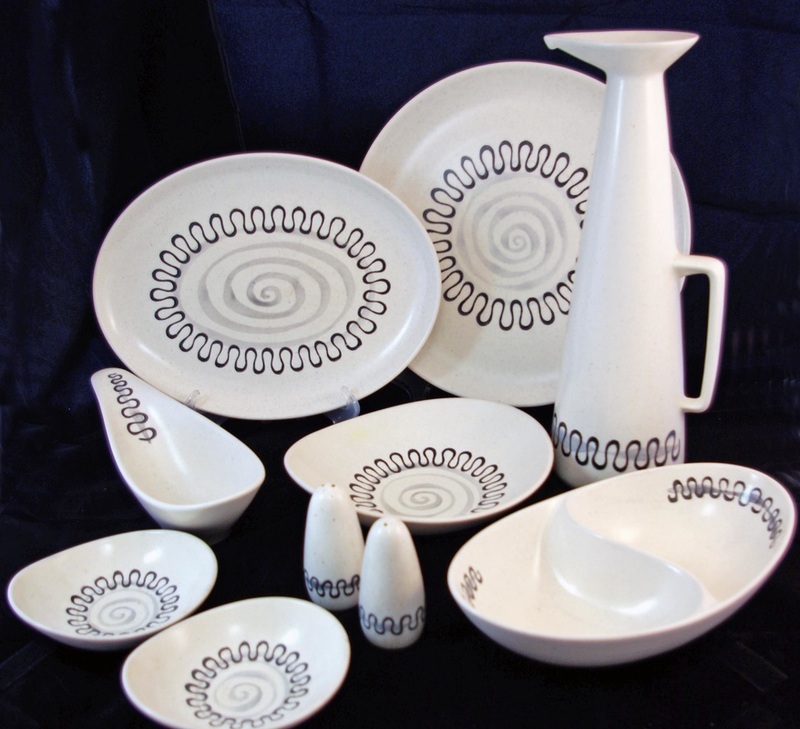 Part of the "Poppytrail" Line; the Freeform Shape, California "Contempora" pattern is a glazed white earthenware with black, grey & pink colors. Done in pink, black and grey, with black and white, two-toned holloware. In tune with the new trend toward textured finishes, with satin-flecked glaze. Sets the mood for gay entertaining and casual family meals. Oven tested and dishwasher safe. Designed under the direction of Allen & Shaw. Buy the "bargain" starter set and add open stock extra pieces from time to time.